Our C.A.R.E. commitment — Consistency, Accessibility, Reliability, and Expertise — is the promise behind everything we do at Schill Grounds Management. 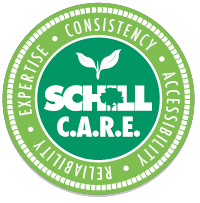 When you choose Schill for your commercial landscaping and snow management services, you’ll be assigned a dedicated Client Care Specialist and Operations Manager. They’ll meet you to discuss your property and your expectations. 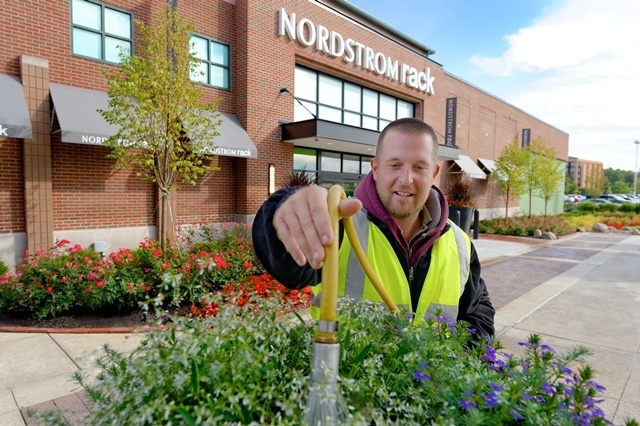 Our team will use their in-depth grounds management expertise to develop a customized plan of seasonal commercial landscaping and snow removal services that fits your needs, goals, and budget. Schill is your full-service grounds management partner. When we arrive at your property, we will never just “mow and go.” We will check in with you to let you know we’re there and discuss areas that require special attention. Our promise of exceptional service on every interaction means we will always be accessible and responsive. Our professional grounds managers conduct weekly or monthly consultations with you. We’ll walk through your property, get your feedback, offer ideas for improving your property, and address any potential problems. If there is an issue, your Client Care Specialist will find solutions to resolve it proactively. Our goal is to be your long-term, year-round commercial landscape management and snow removal services partner. At the end of the season, you’ll receive a survey to evaluate our work. With proactive solutions like our digital service help desk, our quality audit system, and scheduled service visits, we are able to recognize potential issues with your property and address thembefore they become costly problems. We’ll also work with you to explore new ways to improve your property and make the best first impression for clients, customers, employees, residents, or guests.